This Sunday my mother’s group had an early Easter egg hunt. The evite said it was from 3:30 to 5:30, and the entire Wall clan wanted to go and see Zach take a picture with the Easter bunny and not hunt eggs. Due to his nap schedule we did not get there until a little before 5:00. The park was empty! The hunt was over and gone, as was the Easter bunny. Why, why would the evite say until 5:30 if the bunny was not going to be there until then?? 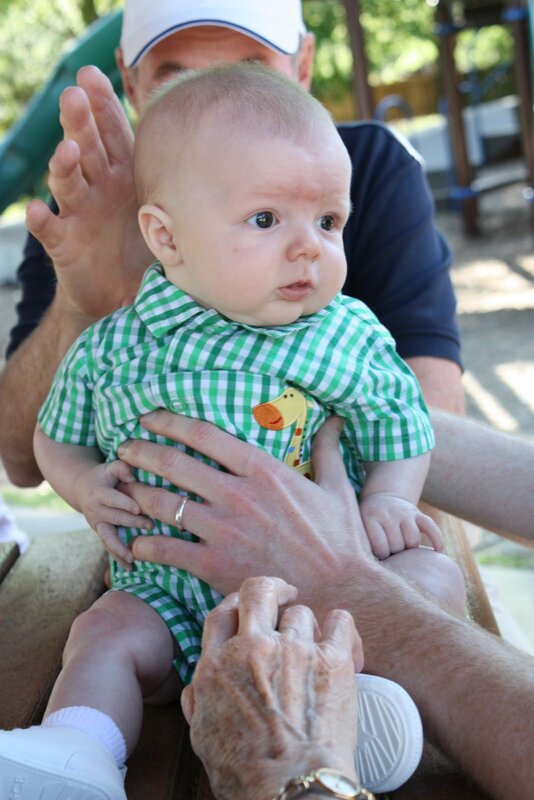 Now, obviously, the lack of bunny did not matter to our little guy, but his dad, uncle, grandma, grandad and great-grandmother were sorely disappointed. Zach and I had stopped by the park earlier to drop off some grapes I said I would bring and the bunny was not chubby and looked kind of scary really so I don’t think it was a big loss, but highly annoying non the less. 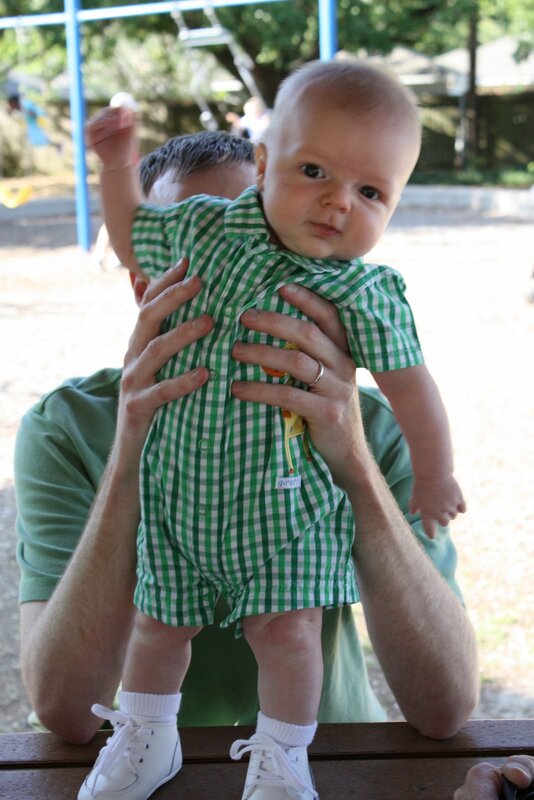 So we all just hung out at the park taking pictures of Zach in his Easter outfit. I love the hightop shoes! Too cute. I can’t believe how big he is!